We all have a different idea of the way we would like our homes but one thing we have in common is that we would like to see our homes increase in value. Like dieting and our cars, a Vancouver strata’s property needs constant maintenance. The benefits of living in well-managed strata are a strong built in budget, unlike individual home owners who can move or delay where money is allocated and essentially ignore items that should be dealt with. The real estate industry believes that professional landscaping can add as much as 20% to the value of a property. On the other side a poorly maintained landscape can provide no lift or even propel a price down. Is maintenance easy? 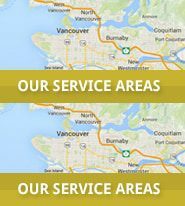 Yes, a professional Vancouver lawn and garden maintenance company can be hired to maintain the lawns and gardens. Why a Professional and not just a care taker? Efficiency and knowledge! A professional commercial grounds maintenance company will have the skill sets of turf care, plant and tree health. Many strata and commercial properties will have mature gardens that will range from the tens of thousands to the hundreds of thousands. If you think this is crazy, make a list of all of your plants and their sizes and inquire with your local nursery as to the cost of replacement. Understand the health of the plants that you already have, are they doing well or struggling? Develop a site improvement plan, concentrating on entrances first and then common areas.